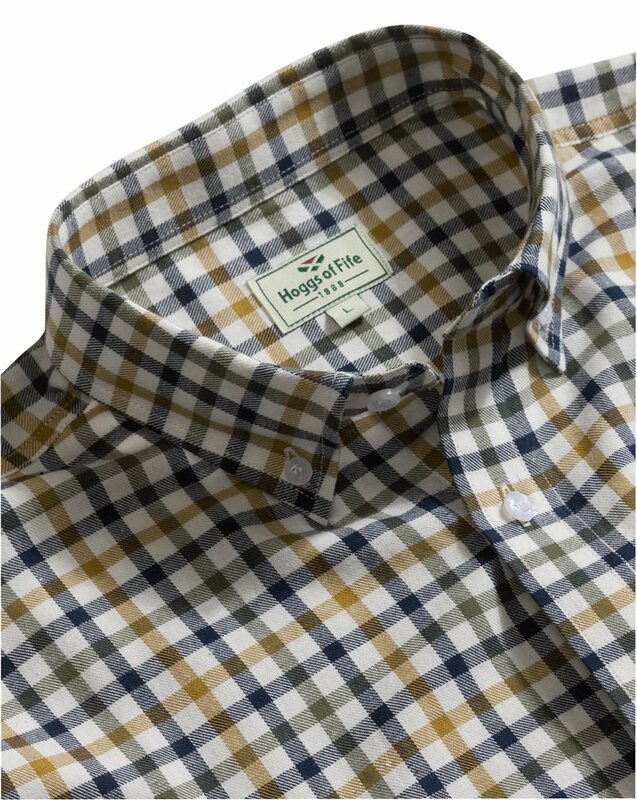 Hoggs of Fife Trevose Short-Sleeve Tattersall Shirt for a luxurious 100% ultra soft cotton mens shirt in a timeless check, a welcome addition to your summer wardrobe. These favourite cotton Tattersall mens short sleeved short are the ultimate country shirt in a choice of colours with pearlised buttons for an understated look. They have been styled with a longer hem at the back to ensure they stay tucked in and features an open chest pocket for convenience on the left.